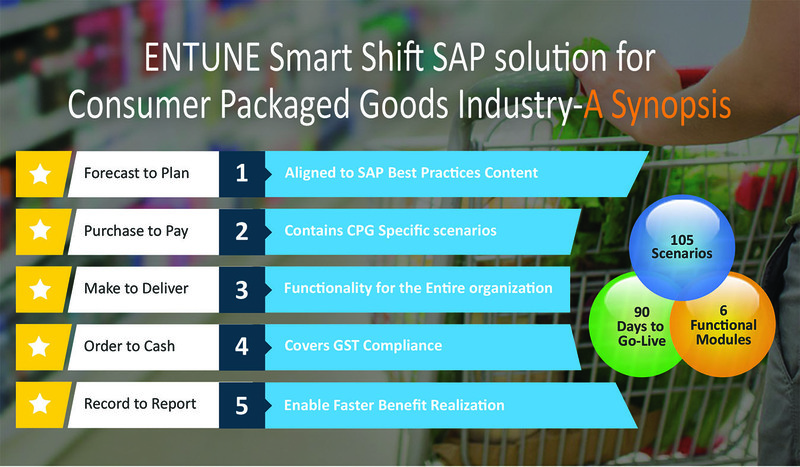 Transform your Business challenges to opportunities by implementing Entune’s Smart Shift powered by SAP S/4 HANA. The package covers 105 Business scenarios across 6 Functional areas enabling business go-live in 90 days. 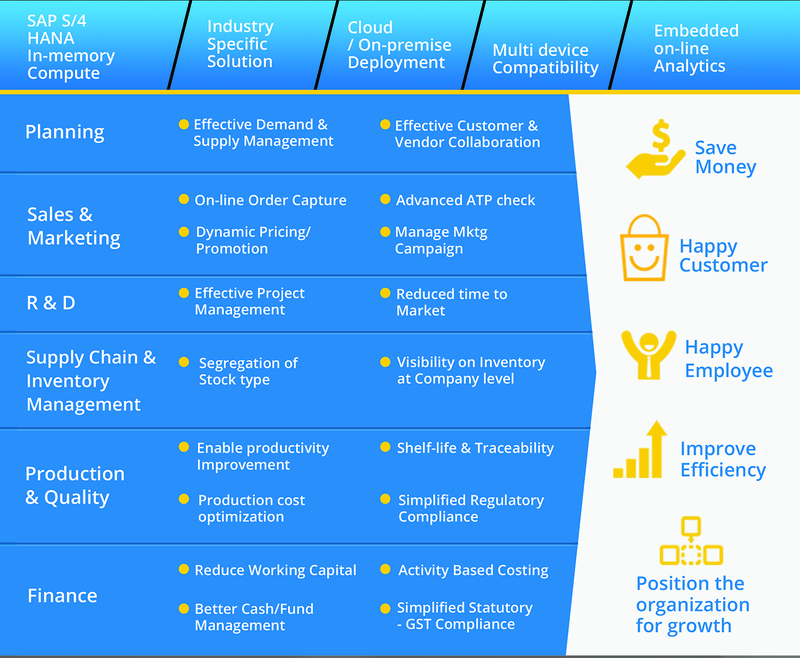 Apart from assuring a risk free implementation, we enable your organization overcome industry specific business challenges and position the organization for growth.